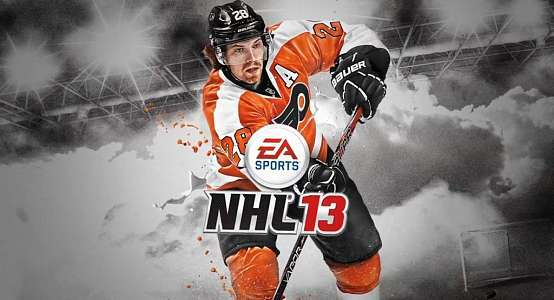 In less than 3 weeks, the yearly anticipated NHL 13 will be out. If you’re the kind of person that doesn’t feel like buying the new edition because you think it’s just the previous version with updated rosters, than this is the article for you. EA Sports’ NHL team has made many changes from NHL 12. The demo is now available to download. Topics of improvement/change include: True Performance Skating, EA Sports Hockey I.Q., GM Connected, NHL Moments Live, and Refined on-ice presentation. So before the September 11th release date, here is a preview of NHL 13. Let’s start with true performance skating. This years’ edition brings the most authentic skating experience yet. Players now vividly crossover while skating backwards, and player speed is more realistic. Stopping fast now results in a spray of snow, which if aimed at the goalie will stick to his pads. EA has added over 1,000 new gameplay animations to their skating engine. EA Sports Hockey I.Q. is a new A.I. system which allows players to have full awareness of all players on the ice, allowing for better decisions to be made. GM Connected is a new mode of gameplay that allows people to manage a team full of human players. In a league, there can be up to 30 teams, and each person will either play a position or coach their team from behind the bench. 750 players can play in a league. According to IGN.com, there are five ways to play GM Connected: “playing against a human opponent, taking on the A.I., teaming up with others in a cooperative game, or building your A.I. (including changing variables and biases). In this way, NHL 13 will connect hockey gamers like never before. NHL Moments Live is a cool new mode. It starts out by showing a clip from an NHL game, for example, the moment when the Los Angeles Kings scored the series-clinching goal to send them into the Stanley Cup Finals. It then asks the question “Can you recreate history?” After selecting the preferred difficulty level, the game puts you right in the action and your goal is to, in this case, score that one goal in overtime. What’s even cooler about this is that during the upcoming NHL season, new moments from this year will be added, so it helps to keep you connected to the real-life games. The on-ice presentation is almost perfect, or as some may say, too perfect. Details such as adding shadows on the ice from the skaters and overhead lighting, power rings in the arenas, and much better replay and analysis really bring the game to life in your living room. The attention to detail is always important to the EA developers, and this game is no exception. That’s a pretty solid soundtrack. The demo includes the in-game manual with all the controls, including coaching and changes to other controls. The ability to coach a team really caught my attention. You will be able to change lines and strategies from behind the bench. You will also be able to change faceoff strategies and call for a shot. This adds a whole new way to play the game. After playing the demo, I can’t really find any flaws. The hitting felt a little awkward, but it also felt awkward in the NHL 12 demo last August. By the release date, they had improved it. The skating is much better now. Goalies are a lot more animated, and are no longer cardboard cutouts. The improved replay system makes each game now look like a televised broadcast. One thing that seemed to be different was the immediate transition after the goalie freezes the puck. You’d be lying to yourself if you said you didn’t use that 10 seconds to steamroll the goalie and run into all the opposing players nearby. Sadly, now it just cuts into the next scene (replay, highlight etc). Hockey Ultimate Team seems to be even better now and there is now an option to select “Free Skate” from the main menu, which allows you to jump right into practice mode. The Winter Classic is back, and you can now play in the 2011 Heinz Field game and the 2012 Citizens Bank Park game. And the graphics and scenery are even better this time around! The player rating system is also brand new for this year. A player’s “overall” now means overall ability to play that particular position, and it includes offense and defense. The difference between superstars and stars is more distinct. According to easports.com, “Each position has its own weighted formula that provides an overall.” EA has scouts in Scandinavia, Switzerland, Germany, and the Czech Republic, and the ratings are based on their observations and the stats that the players accumulate. This year there is a Stanley Cup edition of NHL 13. For $20 more, you get Stanley Cup Hockey Ultimate Team packs with five player items from the Los Angeles Kings and New Jersey Devils, a Gold Jumbo Hockey Ultimate Team pack with a Wayne Gretzky legend item, a CCM Boost Pack with the new CCM RBZ hockey stick, and a 10% discount on an NHL.com shop purchase. Are you ready yet? I know I am. NHL 13 comes out on September 11th, but make sure to pre-order it and get 16 free Gold Hockey Ultimate Team packs (1 each week for 16 weeks)!